Discover hidden gardens and art that even the locals overlook, visit the strangest of museums, get water-boarded in a prototype Jacuzzi, travel to the Wild West of Morningside, learn the secrets of Mrs Coade s stone, hear tell of the stately house inhabited by packs of wild dogs, see the hidden spring where a virgin plucked out her eyes, encounter terrifying topiary heads, travel through time with geological phenomena, track down traces of Edinburgh s Great Exhibition, stumble across a very small frog sculpture. Far from the tourist traps and the crowded landmarks, you may have thought Edinburgh had no more to reveal, but the city still keeps much hidden away in the most unexpected of places. 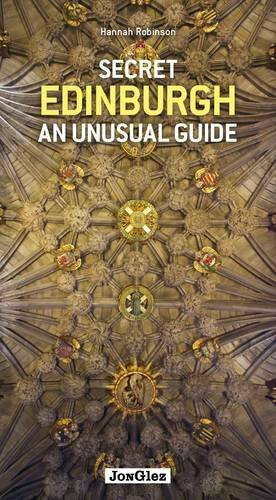 An indispensable guide for those who thought they knew Edinburgh well, or who would like to explore the curiosities of this most secretive of cities.